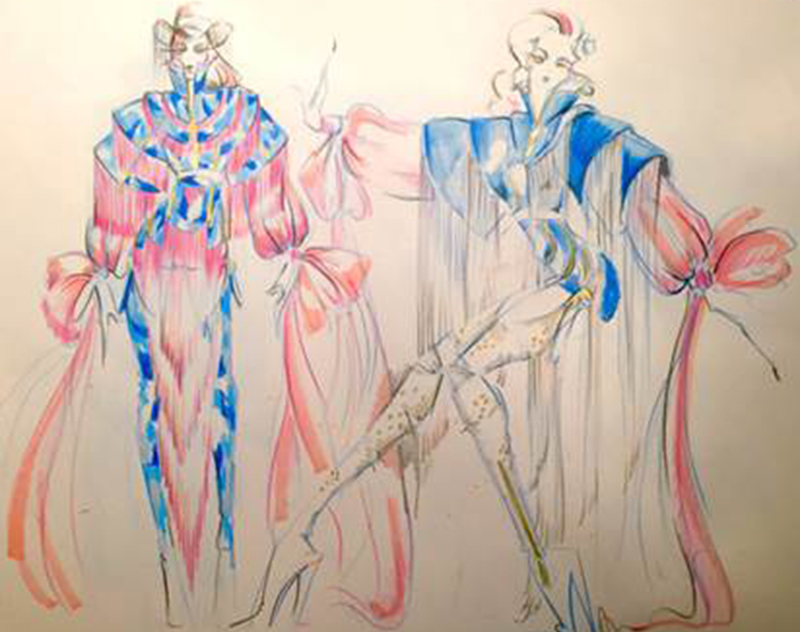 Alex Noble, Lecturer in Fashion at Middlesex University, has designed the costumes for international popstar Lady Gaga in her latest music video John Wayne. 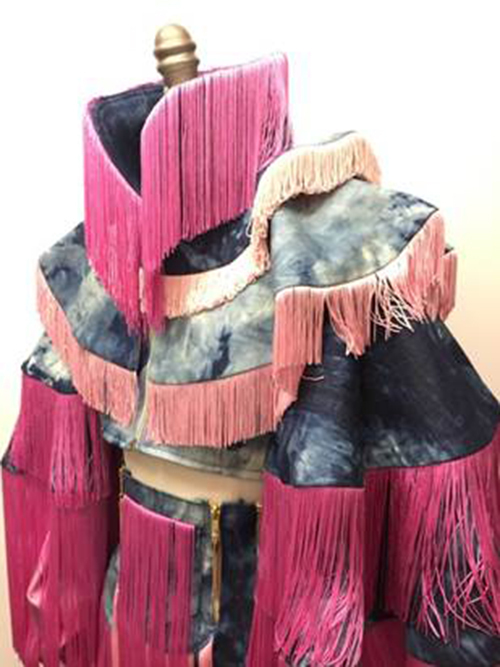 Briefed to create something between Dolly Parton, Elvis, a sci-fi space cowboy and Gaga herself, Alex was inspired to create a bleached denim, multi-fringe piece with giant triangle pleat silk sleeves. “We turned this job around in nine days, including bleaching and washing all the denim,” he explains. Alex has a long history of working with iconic superstars including designing stage and video outfits for Florence Welch, Laura Mvula, Alison Goldfrapp, Kylie Minogue and Paloma Faith among others. The Middlesex lecturer has also produced pieces for leading fashion editorials, magazine covers and commissions for Mugler and Diesel. His experience in the industry has allowed him to share practical advice with Middlesex fashion students during both lectures and workshops. “My advice to young people interested in a career in fashion would be work as hard as you can and take and make every opportunity available to you,” he reflects. “No one’s going to do it for you and a lot of people are trying. Learn from others and use your peer group to collaborate, develop and show your ideas.